The MSE Maryland Mania Basketball Camp was a top notch regional event. New and familiar faces in grades 2nd through 8th emerged as young budding athletes. We bring you exclusive write ups on some of the standouts and top performers in the building. 5’3″, Andrew Reubottom (Maryland) was every bit of what we heard about him. The talented fourth grader displayed good touch off the glass and good footwork in the paint with drop step moves. He also showed a back to basket and mid range game. Adding a good outside game will make him a double threat. However, nine year old Reubottom isn’t one dimensional; he’s a defensive nightmare. Due to his size, strength, athleticism and skill, Reubottom dominated for his age. Expect Reubottom to close-out this year on top and return next year to do it once again. You mean to tell me Farrell Crowell is NOT on this list as number 1?? This is not making sense AT ALL. How did y’all forget Farrell Crowell? “Rell” one of the best going to the rack. He must have not got his registration fee and paperwork in. I wasn’t there but I read several different times that you boy didn’t play all that well that weekend! The ones that reported said that many of the boys he played against shut him down! They actually frustrated him! I was so surprised to read that! Height alone does not make a player #1. Jaden Jones has the best combination of height, talent, athleticism, and bball skills. Your #1 is not close to the same level as Jaden Jones or many of the top 10. Your #2 is not close to 5 feet – more like 4 feet. Sammy, Farrell, or Jaden Johnson earned #1 honors. Too Bad. I want to congratulate all the players! Great job, especially to all of the Banneker Kings, Andrew, Jalen , and of course Andre! Congrats to Antonio as well!!! No Jalen Marshall though… He out played a lot of the guys that’s on this list! J Marshall easily top 10. No registration fee or paperwork? Is that the tourney in Baltimore, sponsored by Team Glory? Lol. Those teams won’t be there. Auntie want to congratulate all of my boys from Bannaker who has been ranked. For all of those who ate hating on Andrew it doesn’t matter what you say or think. Your asking about kids from Team Glory and Maryland’s Finest what about them lets not forget the Kings #2 in the COUNTRY AND FORGET IT! I got one more thing to say to you grown people that’s hating on and talking about a little boy your pathetic and need help. Stop living through your kids. @Auntie. Not hating. 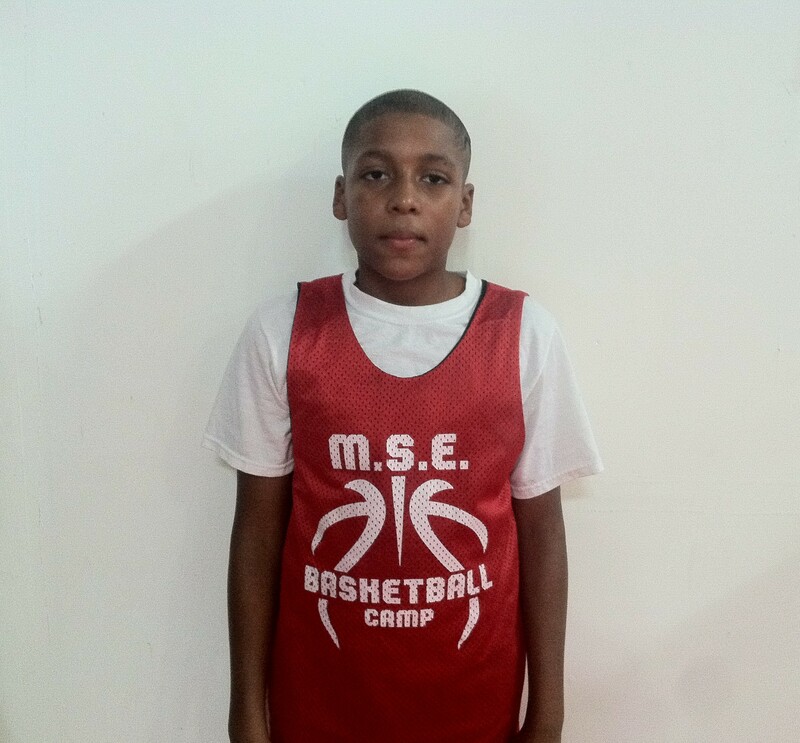 Your very own Banneker King’s Sammy was the best offensive player at the camp (by far – in comparison). Jaden Johnson is the most intimidating defensive player at the camp. Neither Sammy nor Jaden is my kid. To all the campers – use “reasonable” feedback as motivation to get better and be the best. You will need “tough skin” in this “Elite Basketball World” that you and your parent(s) signed up for. YOU ARE ALL ELITE compared to the average 4th grader. This can’t be real … No offence to Andrew but he was the biggest kid on the floor at all times, it was stretches where he missed 5 layups in a row.. The camp got this whole Ranking wrong… As for the younger kids that are under 4th grade they are not getting a fair chance when you mix up the grades … MSE are you REALLY evaluating these camps ??? Big Drew will get there. He been playing less than 2 years. we play the kings all the time and see andrew with his mother solo. who are you? have you ever been to any of his games? sounds like joseph toney. ya’ll know him, shaq’s father. we all proud of all the boys and yes, andrew is a good player, but #1 in his age group? the kings have some talent that didn’t make the list jalen and sammie. list is bs and loses points for the camp. they gonna need to step it up if they want to keep their reputation. watched the games and rell from glory and jalen m. from the kings put in work but didn’t make the list. registration and fees? wtf? call the damn coach and get info, don’t leave them off the list. unfair to the kids. I understand that all the kids had great talent that attended the camp! Hands down this is one of the most talented classes of young boys around! Lets go back to Florida, the talent that was there was phenomenal! I can’t wait until the season begins this year! You know it’s really sad that grown people have to make negative comments on a child’s picture! It is what it is, if they got the ranking wrong, it’s really nothing you can do about it so get a life and leave these boys alone! I have seen all these DMV kids, surprised J Marshall and Rell from Glory are not on the list. At least one kid on list must have greatly improved since last time I saw h im. Congrats to all who made it, and to those that did not keep working. One of the best DMV kids who was not there is Donovan Leak from Maryland 3D. Hope to see him there next year. My son is on the list. He can definitely ball with them all, but yeah Farrell was the hottest commodity at this camp in this division. Attitude was a little off-putting, and he shot too much but OVERALL game, competitiveness, swag, intensity, and execution… TOP NOTCH! You would be suprised to know there are parents who do hold their kids back this age…very suprised. Growing Phenomena! 3rd and 4th grade hold-backs (age-exceptions). When the parents do the holdback early, there’s less backlash as they get older because it’s less obvious because no one really knows. You can guess based on what the average kid looks like….unless your kid play in the “holdback’s” orignial grade group back in the day, then the new age group(s) wouldld really never know. In Maryland, we have a very famous one who was held back in the 4th. He was a straight “A” student too in the 4th grade. He’s good now but he’s also two years older. Who wants to stay in school that long. SMH! But do you. That’s why the new thing is reclass up and skip you’re junior year. Like Anthony Wiggins. But really your going back to your true grade. Keep selling because right now you are the only one believing your own BS. Khoi Thurmon Point Guard from chicago should be on there look him up on youtube he should be #1 led his team to beat glory at battle of the boarders in Champaign,Il. Glory 4th grade is #11 in country. Come to the June M.I.T and see the best 4th grade teams in the country. And the best players in the class of 2022. A loaded maryland finest, Sammy and Andrew probably the best point gaurd bigman combo in the country play for banneker. Dont get me wrong Doug and Rell from glory r good but the older they get it gets hard for 2 good players to carry a team. Dont let the Glory hipe fool u. U havent beat anyone.